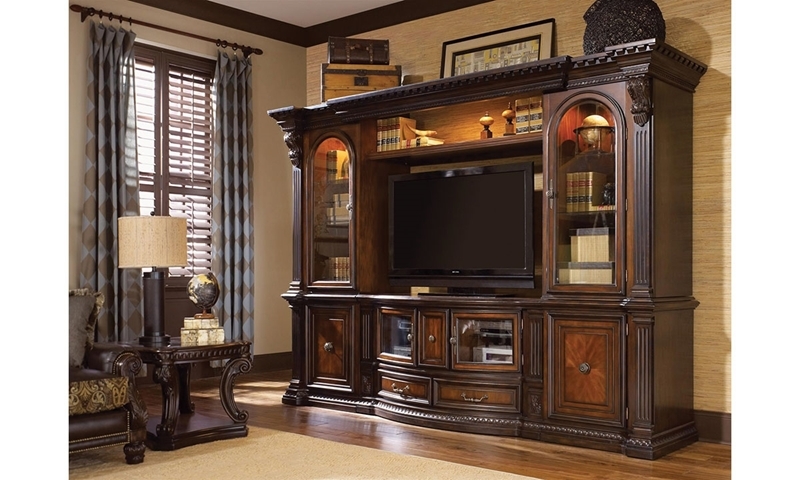 With its fluted sides, dentil molding, corbels and inverted egg-and-dart details, The Grand Estates Entertainment Wall Unit embodies Old World elegance and charm. The warm and welcoming cinnamon finish breathes new life into the traditional design while the primavera veneers with delicate inlays of walnut add a memorable quality. In addition, the entire collection comes with a variety of period elements and thoughtful craftsmanship, including acanthus leaf motifs, side panel doors and display lights.